Happy Leyendecker Baby New Year! There are traditions that seem as though they’ve always been in place. Some of them have origins that are obscured by time, but others can be assigned to a particular time and person. The tradition of representing the new year with the image of a baby is one of the latter. In addition to helping codify the modern image of Santa Claus (see my recent post on Illustrators’ Visions of Santa Claus), the great Golden Age illustrator J.C. Leyendecker originated the idea of using a baby to symbolize the birth of the new year. 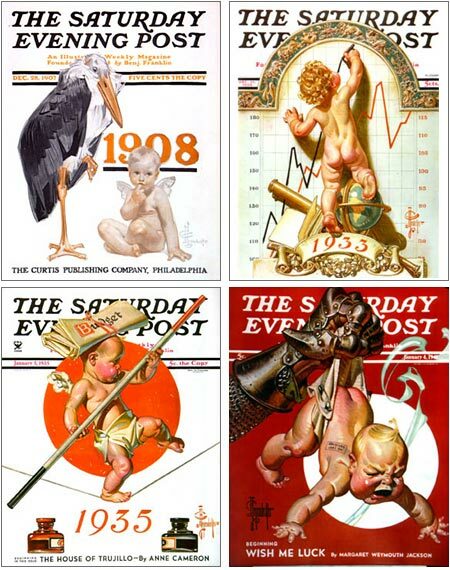 Starting with a Saturday Evening Post cover in 1906 for which he painted a winged cherub that was close to the idea, he began using an actual baby in the December, 1907 issue to welcome in 1908; and continued to represent the coming year that way on New Year’s covers of the Post into the 1940’s. It’s a treat to look through them, not only as great illustration, but as a fascinating chronicle of 20th Century history. Leyendecker would play with the idea of the New Year’s Baby to conceptualize the political, social and economic concerns of the day, be it stock market worries, balanced budgets or the looming shadow of war. Wonderful to be reminded of such an excellent artist! I’m glad you featured this ephemera. 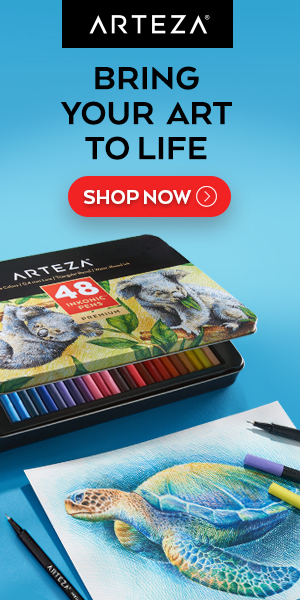 Illustration art is often under-appreciated. I enjoy your blog and thought this was a very cool post. Thanks for featuring it.